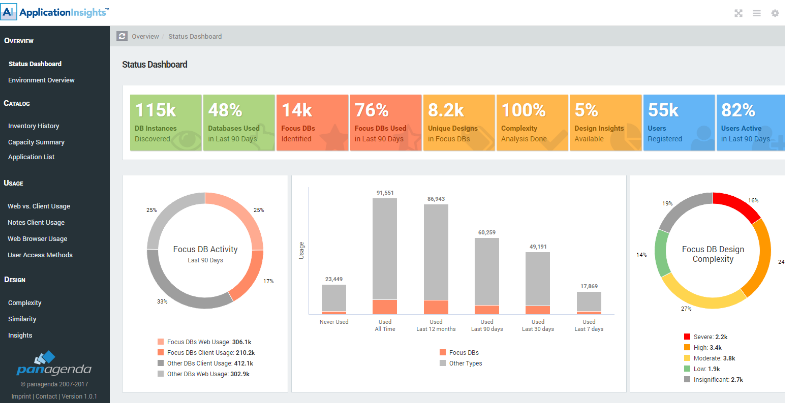 msbiro.net: Panagenda ApplicationInsights available for download ! Find the optimal strategy for IBM Domino Applications! 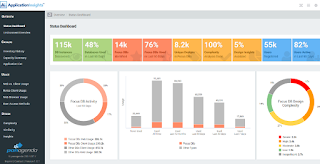 Panagenda ApplicationInsights available for download ! Find the optimal strategy for IBM Domino Applications! One of the most important announcements made during IBM Connect 2017 was the IBM Domino modernization strategy by IBM, and ApplicationInsights by Panagenda will be a masterpiece on this way. Starting from today ApplicationInsights is available for customers who are current on IBM Software Subscription and Support (S&S) for Domino Enterprise Server, Utility Server, or Dual Entitlement with Applications. ApplicationInsights using Panagenda's technology will transforms Domino application usage and design complexity metrics into actionable data to help build the path towards application modernization. In other words AI could translate the complexity of your last 20 years of apps into reports that will allows you to plan the best application modernization path for your Company and drives your Domino application to the future . Reading this page you will find some useful information about AI and the limits of the free licence (50 dbs ) and at this page if you have a valid maintenance you could find the info to download setup and use the sw. Here the official page on Panagenda site . AI system requirements are starting from Minimum of 4 cores, 8 GB RAM and 120 GB of disk space. In my opinion AI is a great appliance and could provide you a lot of critical info about your Domino applications so dont' wait, download and setup your appliance now !